I sent off a few letters & a card today; letters to penpal friends to Hong Kong and U.S., the sticker bags (which I already mentioned before) to my partner to U.S, and a card to Taiwan! And today a little packet was waiting for me in my mail box. Honestly when I saw it I wondered good few minutes what the packet was, since I did not remember purchasing anything and I didn't expect a packet from China. 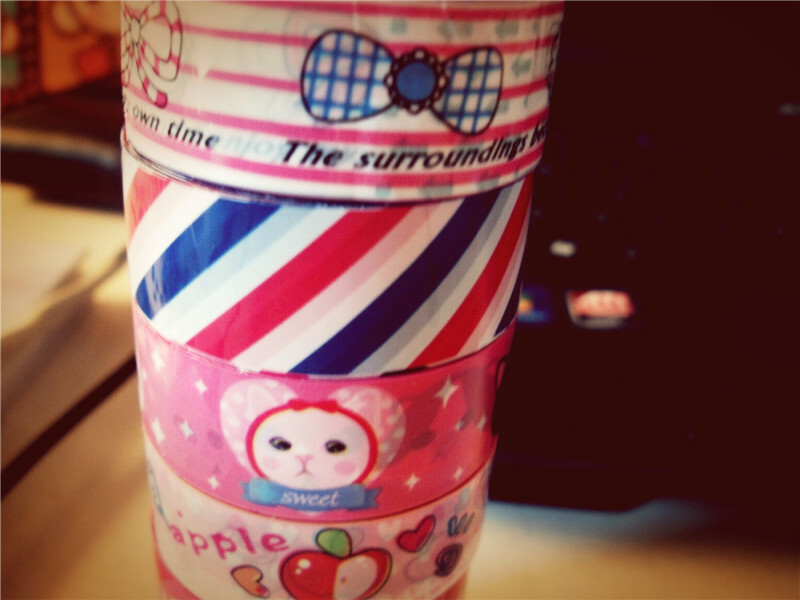 I bought them because I wanted that "air-mail" patterned tape roll lol ! I can totally relate to forgetting that I purchased something and then having a surprise show up in my mailbox! That is one of the many small things that make me happy! I love getting mail! and those tapes are soooo cool. that tape is so cute! 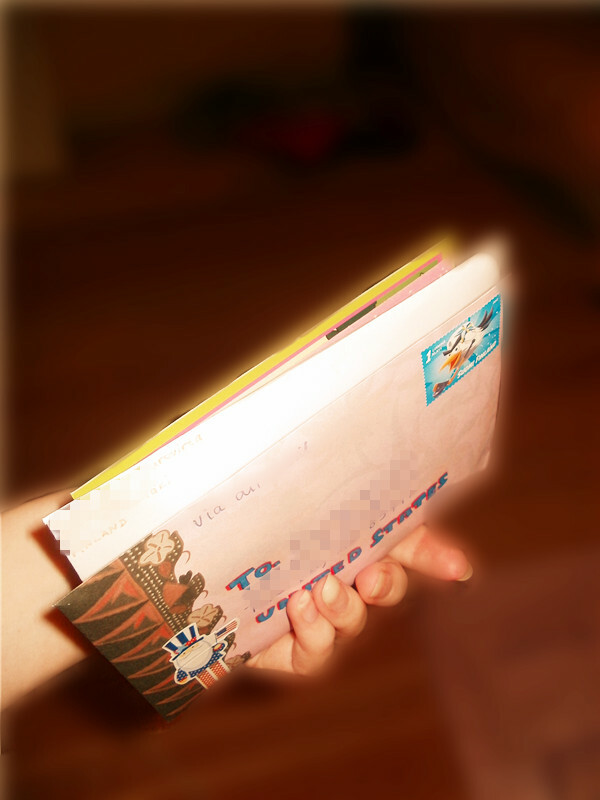 And I love getting letters to :) I really have to check out post crossing! It sounds like an awesome site! that's too bad :( You're right, the postage may be expensive, that's why I send cards only when I have extra money ^.^ Hope you can re-join postcrossing someday ! I so need to order some cute tape! What a wonderful surprise to have in the mailbox. I love swap bot and postcrossing! So much fun getting fun mail! You havea cute blog!! I also love snail mail, and being on swap-bot is such fun! I love walking to the post office every day to check my box and finding lovely surprises. The candy swap sounds awesome and I think I'll have to join one of them! It's a pity that international postage is so costly though, as it does limit my swapping pleasures. Candy swap & foreigner snacks are so much fun! There is currently on swap-pot "Favorite Candy Swap - August", maybe you can join it if you have time & extra money :) I already joined it! I adore fun tape and I love your blog! That deco tape is adorable, I especially like the rainbow roll. The airmail is neat too. I'm not one for scrapbooking, or art cards, but I like to see what other people do with them.